Is your middle school child struggling to keep up? Is there resistance to reading? Do reading comprehension skills appear to be eroding or not progressing? Is he a slow reader? 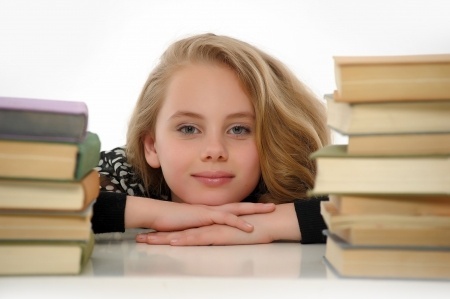 Our middle school reading programs target these common issues. We build reading fundamentals to help students transition from children’s stories to the more complex textbooks in middle school. Our adaptive programs isolate and exercise reading skills at each level, developing a methodical and comprehensive approach to reading, the goal being to help students develop the middle school reading comprehension skills required to meet the challenging 8th grade reading standard. Our middle school reading programs first target the underlying cause of any reading difficulty, by exercising cognitive skills — processing, memory, attention and sequencing — improving reading fluency by making decoding more automatic. At the same time, the middle school student will also see exercises aimed at language familiarity — syntax, language structure, vocabulary — and language dexterity — metalinguistics. These skills, combined with reading fluency, create the foundation for reading comprehension, which we then nurture with adaptive comprehension exercises. Middle school reading requirements escalate dramatically grade to grade. 6th grade reading is still essentially a literal reading comprehension standard, where students are confronted with longer, more complex text, requiring sound decoding skills, and good attention and reading stamina. By 8th grade however, a student is expected to have mastered reading comprehension with metacognition, i.e., the ability to self correct and adjust while reading. Middle school students are taught metacognitive reading comprehension strategies to enable readers to tackle challenging texts with greater independence. They are expected to graduate 8th grade reading at a high school reading level. Our middle school reading programs require active participation to be effective. For many families middle school is the last chance to do our program as student cooperation can get harder in high school. Our programs can have a profound quality of life impact on your middle school child — easier reading, better grades, less time on homework, improved confidence and less learning stress. And, for older children, these gains can start to emerge in just a few weeks, if your child abides by our protocols. If you think your child needs help, and is motivated to do better, call to find out if we can help. Free consults are available 9AM to 9PM EST Monday to Friday, or contact us here.